Sam Kekovich is back for the latest Meat & Livestock Australia campaign for lamb, this time incarnated in the person of his nephew. The ad, released on Tuesday April 28, springs off the Telstra Bigpond commercial featuring young student Daniel and his father Patrick talking about rabbits and the Great Wall of China. 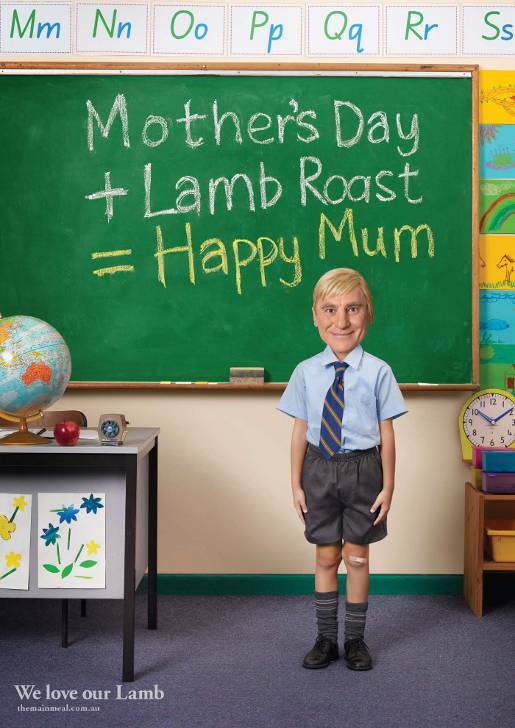 Posters, pack stickers and lamb roast cooking tips will be displayed in participating supermarkets and butchers to remind consumers to serve lamb this Mother’s Day. Meat & Livestock Australia marketing staff were David Thomason, Andrew Cox, Janice Byrnes and Tiana Diep. 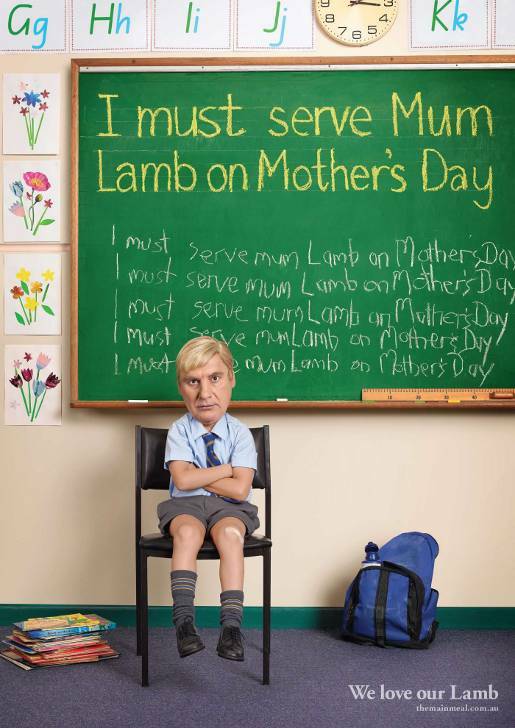 The Mother’s Day Lamb ad was developed at BMF Sydney by executive creative director Warren Brown, copywriter Dennis Dennis Koutoulogenis, art director Jake Rusznyak, general account director David Flanagan, account director Alison Tilling, account manager Louise Mawer, agency producer Louise Hodgson, art buyer Basir Salleh, print producers Dominic Ardino and Clinton Bell, strategic planner Gerry Cyron. Filming was shot by Simon MacRae via Orange Whip Films with producer Alex Mooney. Post production was done at MRPPP by editor Dan Mitchell. Sound was designed by Paul Taylor at Sound Reservoir. Media was placed by Universal McCann.